Students, families, community members, graduate students workers and faculty are coming together to fix our broken higher education system. That means uniting for better working conditions and fair pay for educators and accessible, affordable, high-quality education for all of us. We know that without adequate funding, tuition will continue to skyrocket, student debt will continue to grow and too many of the people that teach us will be forced to live in poverty while trying to piece together a living. Through the Faculty Forward movement, we’re coming together to reverse these trends and let our elected leaders know that it’s time for change. Students and community members are already making change on our campuses. 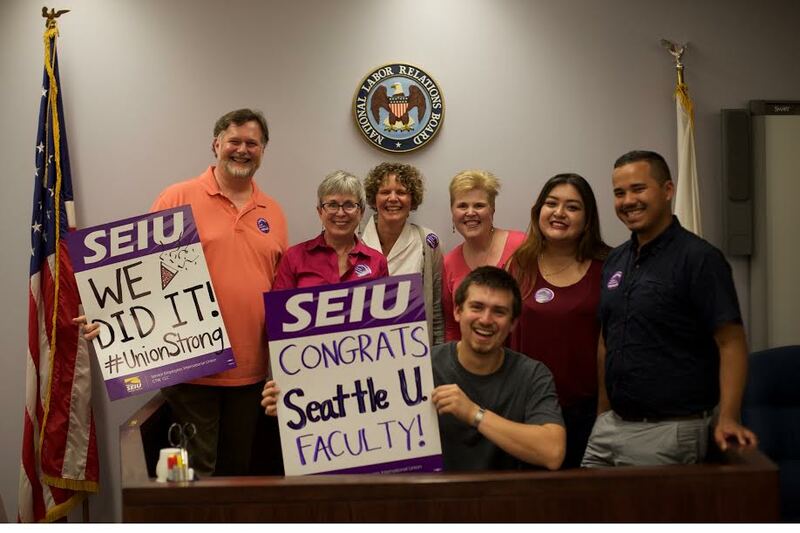 Through groups like USAS, students have helped adjuncts and graduate workers form unions and win fair contracts. Even when debt-free college seemed like just a pipe dream, students and community members stood up and fought for change. Now, at least four states and one city have tuition-free college and many more are likely to follow suit. And when undocumented students were targeted, students stood up to make our campuses safe. If you’re a student or community member who wants to join the fight to transform higher education, you can do so by signing up here. We’ll share all the latest ways you can get involved.